Every Sunday night, we eagerly wait for the sun to drop and the magic to begin. How would you feel about taking Fairy Tale Land and Storybrooke to another level? 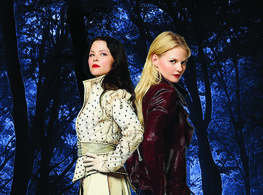 We are talking about Reawakened: A Once Upon a Time Tale. This is a story told in the eyes of Emma and Mary Margaret. Reawakened is the first Once Upon a Time novel. It is a quick pace retelling of Emma’s adventure and challenges to break The Dark Curse. The eBooks is available on Tuesday, April 23. However, you can preorder it now! CLICK HERE! !